It’s been a decade since Gwen Stefani ask herself, “what you waiting for?,” and based on what she delivered on her latest album she asked herself that again. With a public split on her belt, her last solo effort a decade behind her, fans wanting a new album, and a creative spirit, Gwen decided to turn something miserable into something beautiful. The result is This Is What the Truth Feels Like, a raw and unapologetically honest album about love. 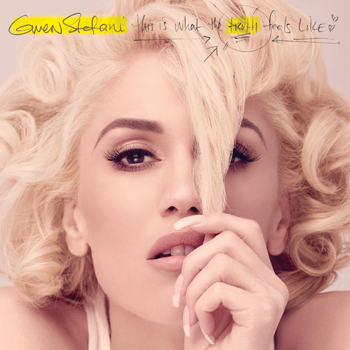 With two initial singles released in 2014 that didn’t make it on to the album, Spark the Fire and Baby Don’t Lie, Gwen went back to the drawing board once she began the split from her husband. Since, she has found a muse in a fellow The Voice coach and put her personal life on record with this album. The album reads as serendipitous love letter from a girl ready for the kind of love she always dreamed of. Gwen makes it clear she was in Misery until she found love again. In Me Without You and that she is much better off without her ex, and “loving every second of it.” The deluxe version of the album is a must with songs you don’t want to miss like Rocket Ship and Getting Warmer. The album purposely had no creative art or concept direction other than telling the truth, and the result is a collection of pure pop love songs. Tracks Not To Miss: Truth, Misery, Rocket Ship, Getting Warmer, Rare, Where Would I Be?